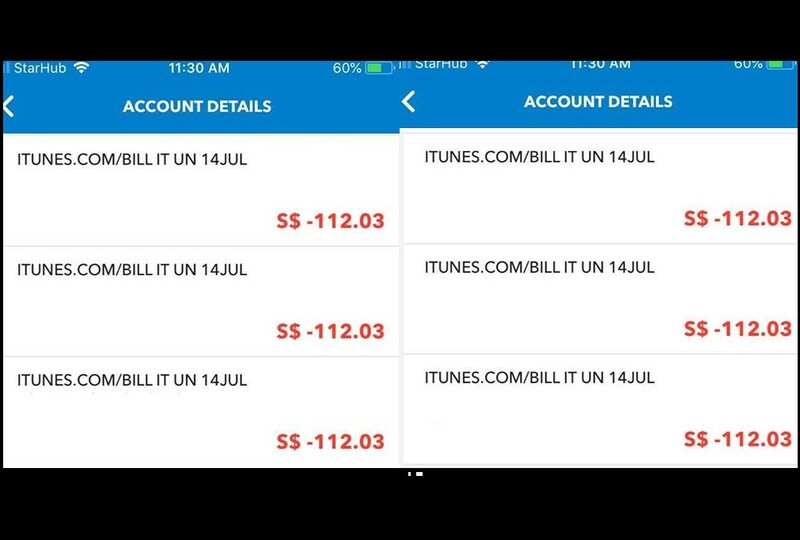 $700 DEDUCTED FROM ITUNES. IS YOUR IPHONE SAFE? You are at:Home»Caught In The Act»$700 DEDUCTED FROM ITUNES. IS YOUR IPHONE SAFE? This post is for awareness purposes and for Apple to know about their security system that they have which is so called world class. On 13/07/2018, i got a shock of my life at night when i discovered that my account balance has been completely wiped out when i did not purchase anything. In disbelief, i made the call to DBS and asked for the transaction details for that day. Transaction details showed that i have purchased $700 worth of items in ITUNES WHICH I HAVE NO IDEA ABOUT.SHOCKKKKED PART 2! I am using Iphone 7 and all my card details are on my phone and nowhere else. I was in a family outing which was stayover for 2 days and just imagine the horror. I tried calling Apple but on Sat and Sun their lines are all on busy after 10pm. Incase of an emergency and need to contact them their hotlines are closed at night. SHOCKKKKED PART 3! 3)I ONLY store my card details on my phone and if someone who got it is through my phone which means probably my phone is compromised or they used my card details stored in my app store. 4) If someone else uses my card details on a different account why do i not have any prompt or notifications or why can someone else under a different account use my card details in the first place.